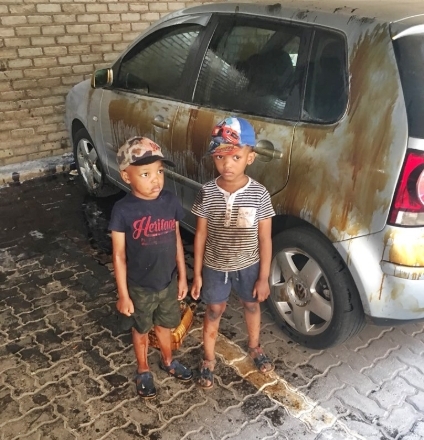 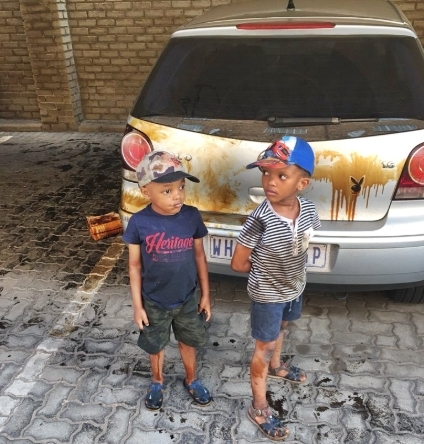 A Twitter user identified as Ronald Manhique (@Manyiki), has taken to the social networking platform to share some photos of his two young sons and the mess they made when they tried to be helpful and wash his car with engine oil. 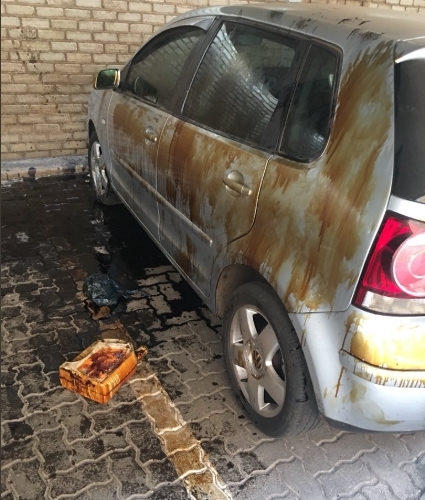 Ronald who posted the photos online, wrote: "guys u don’t know how angry i am ?" 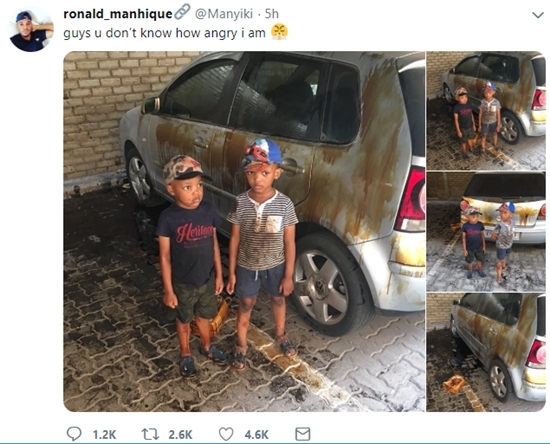 Twitter users were really amused by his tweets and photos of the adorable boys that they've retweeted thousands of times in under few hours.